It looks like hopeful PlayStation 4 owners won’t be getting Path of Exile for Christmas after all. Grinding Gear Games originally planned to bring its free-to-play ARPG to Sony’s console in December, but those plans have changed, the company announced today. GGG’s Chris Wilson posted on the forums that his team “underestimated the amount of work it would take to finish the certification process during the busy Christmas period.” The new time frame for the PoE PS4 release is late January to early February. The added delay will also give Wilson and his team the chance to improve the game’s performance and frame rate. Path of Exile’s next expansion, Betrayal, is still on target for a PC launch on Dec. 7, and you can read our preview here. Very booring simulator of looter , 15 mins loot then go to shop because full and all the time same, forget about multiplayer, itsa single player game with chat, where u need to pay real money for inventory. Oh look, someone who played the game fifteen minutes and picked up every single item drop. 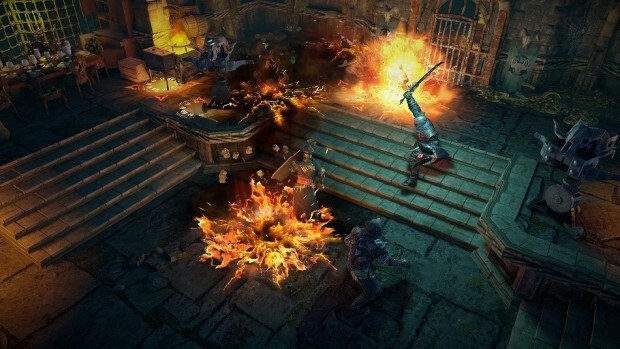 The game also has a story and plays a lot like Diablo 2. If you can’t appreciate the story on the first playthrough and enjoy the combat, then you have no right to complain, because that’s what the game is all about – bashing monsters and getting stronger. If you want to get an achievement when you fart, go play Retail WoW where you will be babysat and pampered and will achieve everything without making the slightest effort. And you will also meet other entitled folks such as yourself.